He is a medical-physical scientist and an educator. He is the current President/CEO and Institute Professor at the International Institute of Medicine & Science with a previous appointment as Executive Vice President/Chief Operating Officer and Professor at the Weil Institute of Critical Care Medicine, California, U.S.A. He was formerly Professor of Radiology, Radiological Sciences, Radiation Oncology, Critical Care Medicine and Physics at several U.S. and European Universities. Earlier, he was Deputy Director (Western Region) of the U.S. Department of Veterans Affairs (Office of Research Oversight). At the Loma Linda Veterans Affairs Medical Center, he was Scientific Director of Radiology, Director of the Magnetic Resonance Imaging Center and, for a time, Acting Chair of Radiology. Previously, he was also Director of the Division of Biomedical and Biobehavioral Research at the University of California at Los Angeles/Drew University of Medicine and Science and an Advisor to the U.S. National Academy of Sciences, National Research Council, for postdoctoral programs tenable at the California Institute of Technology. He is Health Advisor to the American Heart & Stroke Association, Coachella Valley Division, California. He is a frequent Keynote Speaker and International Organizing Committee Member of several international scientific conferences. He has lectured extensively in the U.S., Europe, Asia and Africa. He has published ~ 425 scholarly scientific publications and books. He is also Editor-in-Chief, Honorable Editor or Editor of 62 medical/scientific Journals to which he contributes regularly. Dr. Fymat is a Board member of several institutions, a professional member of the New York Academy of Sciences and a reviewer for the prestigious UNESCO Newton Prize, United Kingdom National Commission for UNESCO. His current research interests are focused on neurodegenerative diseases (Alzheimer, Parkinson, epilepsy, dementias and others), oncology, molecular/precision/personalized medicine, and nanomedicine and nanobiotechnology. His current research interests lie at the interface between science and medicine, particularly molecular/personal/precision medicine, nanomedicine, human genetics/epigenetics/ecogenetics, and pharmacogenomics. His most recent publications deal with magnetic resonance Imaging with nanocontrasting materials, nanotechnology and cancer, nanochemotherapy, nanoneurology, natural and synthetic immunotherapy, drug delivery including across the brain protective barriers, and drug manufacturing in Africa. Yavuz is the chairman of Istanbul Consulting Group. ICG(Istanbul Consulting Group) was founded in 2013 and provided guidance to the Turkish ministry of health as part of a World Bank project. Yavuz is currently the Co-Founder of BioCube İstanbul Bioentrepreneurship & Innovation Center and Corporate Communication Director of Sumitomo Group/ Expel İlaç Archem Diagnostics Ended and Diagen. He previously managed the largest distributor of Siemens Healthcare in Turkey managing 250 employees and director of Avcılar Hospital R&D Center, Chief Medical Officer of Lifematrix GmbH. Previously he worked as the Market Access & Health Policy Director for AIFD in Turkey. Yavuz previously worked as the Vice President of Ipsen pharmaceutical and Director of Teva pharmaceutical in the USA managing large clinical trials as well as Investigator Initiated Trials and developing relationships with Key Opinion Leaders. Previously, Yavuz was the Associate Director at KV Pharmaceuticals and Director in Clinical Development department at Forest Laboratories. Yavuz earned his MD from the Faculty of Medicine, the University of Ankara in Ankara, Turkey. He completed a clinical internship at Baylor College of Medicine in Houston, followed by continued research training at The University of Texas MD Anderson Cancer Center in Houston. He recently completed his Executive MBA at the Olin Business School at Washington University in St. Louis. Neurology, Pulmonary Critical Care, Rheumatology, Oncology and related therapeutic areas within academics and industry. regulatory processes, identifying and addressing risk management issues throughout the lifecycle, presentation development to large payers, safety monitoring, designing and conducting clinical trials. Prof Prakash Diwan obtained his Ph.D from Post graduate Institute of medical Education and research, Chandigarh, India. Contributed in the areas of Novel Drug Delivery systems & drug discovery. Published over 200 papers in pre reviewed journals. He delivered guest lectures in India and abroad. Dr. Diwan has many awards instituted by Indian Pharmacological Society. He has served as founder Director of NIPER, Hyderabad and fellow of Royal society of London, FRSC (London). Presently working as Technical Advisor, Indian Pharmacopeia Commission, Government of India, Director School of Pharmacy, and Hyderabad. Director, CRL, Maratha Mandal Group of Institutions, Belgaum and Consultant for Indian Institute of Technology, Hyderabad. 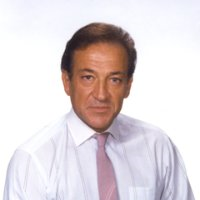 Dr. Constantinides is President of Biopharmaceutical & Drug Delivery Consulting, LLC in Gurnee, Illinois, USA that he founded in 2004, and he has more than 30 years of industrial experience in drug delivery and pharmaceutical development. He received a University Diploma in Chemistry from Athens University in 1977 and PhD in Biochemistry from Brown University in 1983. He was a postdoctoral fellow in the Pharmacology Department and Associate Research Scientist in the Comprehensive Cancer Center of Yale University School of Medicine (1983-1987). Past industrial positions held included: Vice President of R&D with DOR Biopharma and Morton Grove Pharmaceuticals (2000-2004), Director of Research at SONUS Pharmaceuticals (1997-2000) and from 1987 to 1997 a number of R&D positions of increasing responsibilities with LipoGen, SmithKline Beecham Pharmaceuticals and Abbott Laboratories.. He has heald adjunct faculty appointmnets with Roosevelt University College of Pharmacy in Schaumburg, Illinois, the Pharmaceutics Department of Washington University in Seattle, Washington and the Department of Biochemistry of the University of Tennessee, in Knoxville, Tennessee. He is inventor in 33 patents and patent applications, has authored more than 130 publications including review articles, book chapters and presentations on the parenteral and oral drug delivery of small molecules and peptides/proteins and has presented more than 100 invited talks at many national and international conferences, pharmaceutical companies and universities. 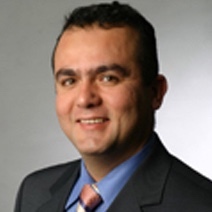 Dr. Constantinides is AAPS Fellow, Past Chair of the AAPS Formulation Design and Development (FDD) Section, the Nanotechnology and Lipid-Based Drug Delivery Systems Focus Groups. He has received numerous honors and awards and serves as Associate Editor of the AAPS Open journal since its launch in the fall of 2015. 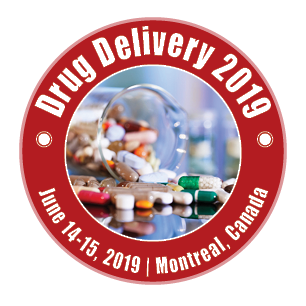 Drug formulation and delivery, pharmaceutical nanotechnology, lipid-based drug delivery systems, developing and applying enabling drug delivery technologies to improve poor drug solubility and/or permeability in drug discovery and product line extensions, oral peptide/protein delivery. Dr. Blondino has over 20 years of broad based drug development experience in parenteral, oral liquid, and inhalation products. He is currently the Director of Drug Development at Kaleo, Inc. in Richmond, Virginia. He has held industrial positions of increasing responsibility at NovaDel Pharma, Magellan Laboratories, Baker Norton Pharmaceuticals, and Hoechst Marion Roussel. In addition, he has held academic positions at Virginia Commonwealth University. He received his Ph.D. in Pharmaceutics in 1995 from Virginia Commonwealth University after receiving his B.S. in Pharmacy from the same institution. He has published numerous articles and is co-inventor of 15 United States patents. My professional interests are in fulfilling unmet medical needs during life-threatening emergency situations, difficult to formulate compounds, drug delivery, and technology transfer. Vinod Labhasetwar, Ph.D., is a Professor in the Cleveland Clinic Lerner College of Medicine of Case Western Reserve University and a senior staff member of the Department of Biomedical Engineering, Lerner Research Institute, Cleveland The clinic, both in Cleveland, Ohio, USA. He leads Cleveland Clinic’s Cancer NanoMedicine Program, a collaborative effort jointly sponsored by the Department of Biomedical Engineering and the Taussig Cancer Institute. The primary research focus of Dr. Labhasetwar’s laboratory over the past 25+ years has been on nanoparticle-mediated drug delivery in the context of translational and clinical medicine, particularly focusing on disease conditions where no effective treatments yet exist. HIs team’s specific interests are in developing effective approaches to cancer therapy (against drug resistance and metastasis), cardiovascular diseases (particularly inhibition of restenosis), and facilitating neuromuscular repair mechanisms in stroke and spinal cord injury. Recently, his group’s efforts have been expanding into two new areas: retinitis pigmentosa, with the goal of slowing the progression of photoreceptor degeneration; and transplantation research, with the objective of extending the critical window of time for organ preservation. Dr. Labhasetwar has published over 180 peer-reviewed articles and book chapters. He is listed among 2014 and 2015 Highly Cited Researchers by Thomson Reuters, based on the top 1% of citations during the past 10 years. He has over 25 issued the US and international patents and 4 provisional US patents filed/pending. Dr. Labhasetwar is Editor-in-Chief of Drug Delivery and Translational Research, an official journal of the Controlled Release Society. He has received many Distinguished Scientist and Innovator awards and is a Fellow of the American Association of Pharmaceutical Scientists and the Controlled Release Society. Arwyn obtained a Ph.D. in protein-crystallography at Birkbeck College, University of London and undertook postdoctoral endocytosis research at the University of Liverpool, Harvard University, and EMBL-Heidelberg as EMBO and Alexander von Humboldt fellow. Appointed as a lecturer at the Cardiff University School of Pharmacy and Pharmaceutical Sciences in 2001 he is now Professor of Membrane Traffic and Drug Delivery. His research falls within cancer cell biology, endocytosis, and drug delivery. A major objective understands endocytosis to improve the cellular delivery efficiency of drug delivery vectors including peptides, natural and synthetic nanoparticles and antibodies targeting plasma membrane receptors. Recent work has concentrated on strategic approaches to plasma membrane targeting to stimulate endocytosis and intracellular targeting. Arwyn has published widely within these fields and his group has made significant contributions to the current understanding of the way drug delivery vectors interact with cells and enter endocytic pathways that govern their intracellular fate. Li holds a B.S. in Chemistry and an M.S. in Computational Chemistry from Nankai University in China, and an M.S. in Computer Science and a Ph.D. in Pharmaceutics from Purdue University. He began his academic career with the University of Kentucky in 2002 as Assistant Professor of Pharmaceutics and was later promoted to Associate Professor. He came back to Purdue University in 2012 as Professor and an endowed Chair in the Department of Industrial and Physical Pharmacy. Dr. Li’s research interests include solid-state chemistry, formulation and drug delivery. He is the recipient of various professional honors including: AAPS fellow, the University of Kentucky’s Robert A. Blouin Excellence in Graduate Education Award, the Department of Defense Breast Cancer Idea and Concept Awards, the National Science Foundation CAREER Award, the AACP New Investigator Award, the AAPS New Investigator Award, the PhRMA Research Starter Award, and the Pharmacia-Upjohn Walter F. Enz Award. His professional activities include: serving on the editorial boards of Pharmaceutical Research and Journal of Controlled Release. He has also served on grant review committees for the National Science Foundation, the Department of Defense, and the National Institutes of Health. Robert J. Lee received his Ph.D. in 1994 from Purdue University. He has trained as a Postdoc at the University of Pittsburgh School of Medicine and worked at GeneMedicine Inc. as a Sr. Scientist and then at Endocyte Inc. as VP of R&D. He has been a professor in the College of Pharmacy at The Ohio State University since 1997 and has > 200 publications in the areas of targeted drug delivery systems and lipid-based nanoparticles. He has served regularly on NIH review panels and as the PI or Co-PI on many large NIH and NSF project. He has collaborated extensively with biotech industry in his research on oligonucleotide delivery systems. Dr. Fenniri was educated at the Université de Strasbourg, France, receiving his undergraduate degree in chemistry and biochemistry, and his M.Sc./Ph.D. degrees in supramolecular science and engineering under Nobel Laureate Professor Jean-Marie Lehn. He then joined the Scripps Research Institute in California, USA, where he carried out his postdoctoral training under the supervision of Professor Richard A. Lerner. In 1997 he moved to Purdue University, where he initiated his independent academic career, and established the Purdue Laboratory for Chemical Nanotechnology. In 2003, He joined National Institute for Nanotechnology (NINT) as a founding member and the University of Alberta where he led the Supramolecular Nanoscale Assembly program. Since 2013, Dr. Fenniri has been Professor of Chemical and Biomedical Engineering at Northeastern University, Boston, MA, USA. Dr. Fenniri has achieved international recognition as a leader in the areas of self-assembly, supramolecular chemistry, nanomedicine, and materials sciences. His group works at the forefront of basic and applied nanosciences, in collaboration with various academic institutions, federal laboratories, and with the private sector. Dr. Fenniri’s contributions appeared in over 220 publications, 20 patents and patent applications, and over 450 contributed national and international conference papers. Dr. Fenniri has also presented his work in over 170 invited distinguished lectures, colloquia and seminars around the globe. Dr. Fenniri is the recipient of several academic and professional honours and awards, including the Xerox UAC Award, the 3M Faculty Award, the Showalter Trust Fund Award, the Trask Trust Fund Technology Innovation Award, the Cottrell Teacher Scholar Award, and the US National Science Foundation Career Award. Dr. Fenniri is Member of the Editorial Board of several scientific journals and serves on several national and international scientific boards, panels, and committees. Ülo Langel is a Professor at the Department of Neurochemistry, Stockholm University, and at the Institute of Technology, Tartu University. Prof. Langel has been selected as a Fellow Member of International Neuropeptide Society (1995), and is a member of Academia Europeaea. He is a coauthor of more than 400 scientific articles and 20 approved patents or patent applications. Dr Joël Richard is currently Senior Vice President, Peptides in IPSEN (France). He is globally leading all the pharmaceutical development activities of both injectable and oral peptide-based products, including APIs and drug products, with major franchises in Oncology, Endocrinology and Neurology. Dr Richard has more than 25 years of experience in chemistry and biopharmaceutical R&D, including several previous global senior positions in various Biotech and Pharma companies, such as: - Vice President, Drug Product Development in Ipsen (France) (2008-2011), - Director, Pharmaceutical Development in Serono and Merck Serono (Italy, Germany) (2005-2008), - Vice President Research, and Europe R&D Director at Ethypharm (France) (2001-2004), - COO at Mainelab (France), a drug delivery company he co-founded, which was specialized in developing solvent-free processes for protein delivery systems (1999-2001). Dr Richard graduated from Ecole Normale Supérieure (Cachan, 1985). He has got a PhD in Materials & Colloidal Science (University of Paris VI, 1987) and “Habilitation à Diriger les Recherches” in Chemistry (University of Bordeaux I, 1994). n the last 20 years, Dr Richard has focused his research activity on new formulation technologies and drug delivery systems (such as microspheres, nanoparticles, nanocapsules, chemically-modified proteins, supercritical fluid technology . . .), especially for injectable peptide and protein formulations. He has published 67 peer-reviewed scientific papers, 8 book chapters and 2 review editorials in various fields: polymers, colloids and interfaces, drug delivery, biodegradable microspheres, microencapsulation, supercritical fluids, protein formulations and post-translational modifications, nanoparticles, sustained-release formulations . . . He is the author of more than 120 international communications and 53 patent families. Hemachand Tummala is an Associate Professor and a Faculty Scholar of Pharmaceutical Sciences. He also serves as the Director, Vaccine Adjuvant research at Medgene Labs., Brookings. His research interests are in the area of design of various vaccine and drug delivery systems for cancer, viral diseases and neurological diseases. He has over 30 publications and presentations, 1 book chapter, two pending patent applications. Dr.Tummala’s lab has discovered a novel bioactive polymer (TLR-4 agonist), inulin acetate. Using Inulin acetate they have engineered a pathogen mimicking vaccine delivery system (PMVDS). Based on its innovation PMVDS technology won the national award “2013-American Association of Pharmaceutical Scientists- Innovation in Biotechnology award”. PMVDS technology is licensed to Medgene Labs., Brookings, SD for commercialization. Dr. Tummala teaches courses in the field of pharmaceutics and pharmacokinetics to professional pharmacy students and graduate students. He has been a research mentor for 12 undergraduate students, five graduate students. He also serves in the editorial board of several journals and has served as a reviewer for national funding agencies. He is a recipient of “2013-Distinguished Researcher” award and “2014-Student Association Teacher of the Year” award for the college of Pharmacy. Drug delivery and drug targeting, Transdermal delivery of nanoparticles, Novel Drug Deliveries for Cancer, Vaccine Design, Alzheimer's disease and mitochondrial pathology.